For this Thursday’s English/hiking and conversation course we explored lesser-known parts of Mount Royal, going along the flank parallel to Mount Royal Boulevard, and through the cemetery. The Mount Royal cemetery is spectacular right now, with most trees of the trees in flower. We’ll have to explore some of the ‘famous people’ buried in the cemetery during a future outing. 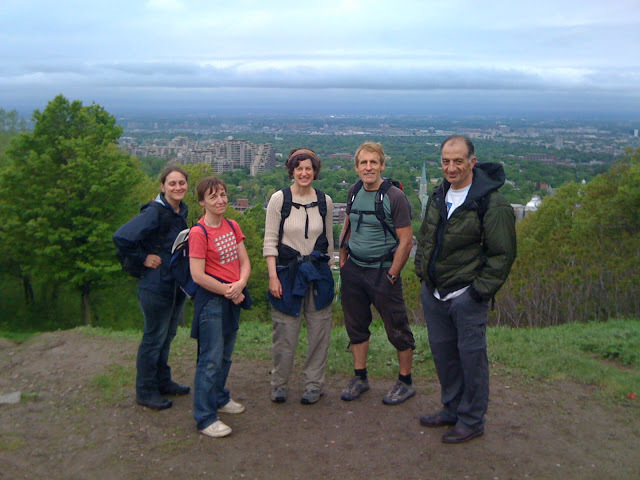 We also looped around to the Outremont summit, which looks north over the Université de Montréal. 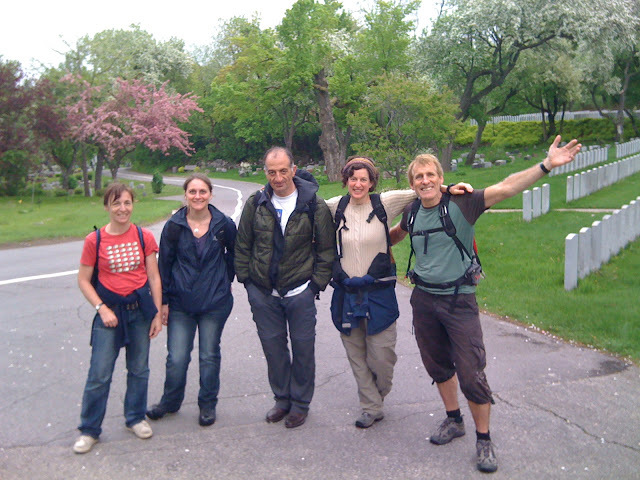 Not even the native Montrealers in the group had been on this loop yet – fun! Next articleUn parc en devenir, l’histoire du cirque, le recyclage – ultra Montréal!